Werd wrote: Sorry Hannover let me clarify. The spaghetti people were added to a real photograph. 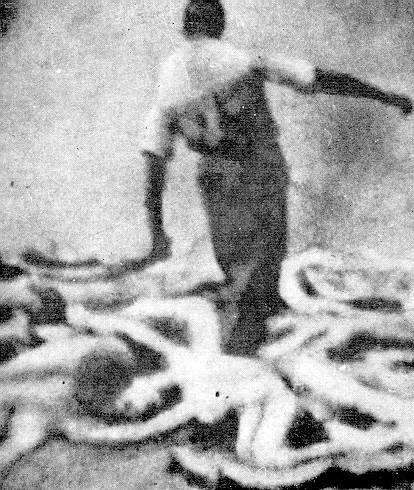 As to the ORIGINS of the real photograph, I say it was not a train accident in America, but a concentration camp in Poland. 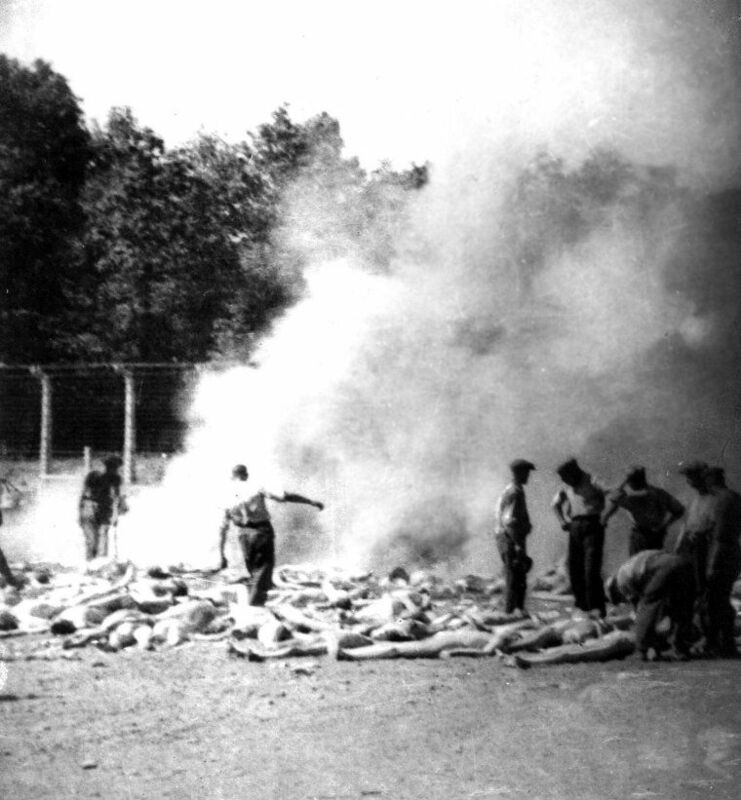 But the photo does not prove gas chambers in any way. 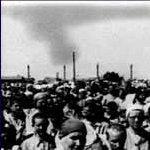 So if there is a real original Auschwitz photograph of this, where is it, where is the negatives? Why add crap to the photo, when you already have an original? Because you might be a lying Jew that needs to forge photographs to appeal to emotion. If you can do appeal to emotion, then everyone will believe sob stories about surviving gas chambers and Nazis using orchestra music and seagulls to drown out the cries of the victims as they are being gassed. The original photo appears to show remnants of bodies burning. That has an easy explanation. Cremations were necessary to prevent the spread of typhus. Tell us which one is the original? Every one I've seen has at minimum the dead-give-away spaghetti people. Just admit it, the thing is as phony as a three dollar bill, you are wrong on this. Re: Train crash site:Dresden,Ohio 1912 ? 1.In this case it should be very easy to find this "burning pit"? Between the krema V and the fence. 2.If I accept the suggestion presented here by the author of this photo-montage I have a question in relation to the trees:they were like that in 1942 and they are identical today? Looks like a picture from Auschwitz to me. Well yes, an innocuous photo of trash being burned near a fence at Auschwitz with the fake spaghetti people thrown in that are supposed to be 'gassed Jews'. You're right, it proves nothing except that there were forgers at work. Use of language like this does nothing to help the appeal of Revisionism to the general public. Anyway it might be more a case that you might be a member of the Soviet propaganda service. More to the point, we have no idea who retouched the photo with the spaghetti corpses, but it is pretty self-evident that someone did therefore the photo's evidential value is poor. Furthermore, it can only be evidence for outdoor cremations, which no one disputes anyway. I wasn't accusing anybody on this board of being a lying Jew. It was a hypothetical directed at anybody else who would engage in a forgery. And I know nobody on this board has done anything like that. See Vincent Reynouard fail to cremate two rabbits in a pit in the video below [13:20 - 23:40]. Werd wrote: I wasn't accusing anybody on this board of being a lying Jew. It was a hypothetical directed at anybody else who would engage in a forgery. And I know nobody on this board has done anything like that. I hope this board is read by interested enquirers as well as by convinced revisionists. You may well interpret what you said as "a Jew who happens in this instance to be lying" but most people would interpret it as implying that Jews in general are habitual liars. Even if you believe it I don't think it's very good for public relations to confirm by your own stereotyping the stereotype that Revisionists are antisemites. I don't think that everybody who is lying or exaggerating about the holocaust or even the gas chambers is Jewish. We have Poles and Soviets and British and Americans to blame for the lies, sure. Unfortunately, the original picture (or so-called original) seems to be modified [ur=http://fotos.fotoflexer.com/d8afa0f751aaf1d245dc8e7f79dd12ff.jpg]in this photo[/url]. 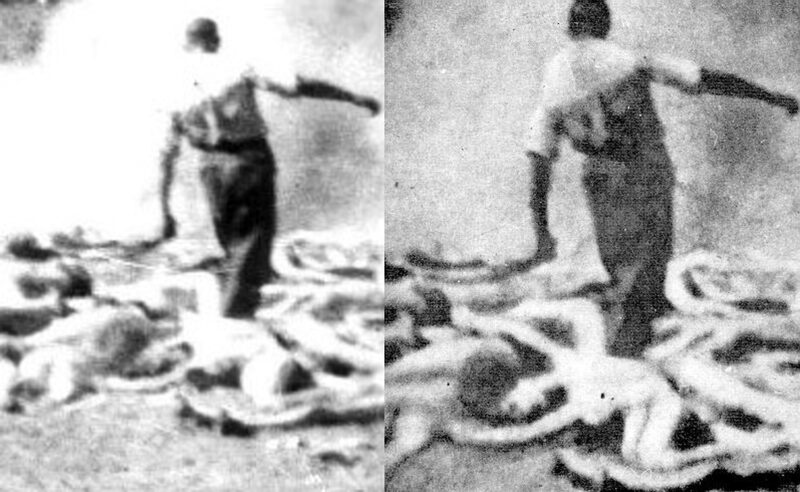 Correct me if I'm wrong, I am having a debate about the holohoax and someone told me that there is a gap between the legs of the "victim" which doesn't seem to appear in the original photo. The 'photo' is an obvious fake. An enlargement reveals the incredible spaghetti people. Only liars use fake photos. What I meant is that there is a difference between the so-called original picture (left) and the one you showed me (right). How do you explain this difference? No, we see no difference other than enlargement & one being darker than the other. Both are rather howling forgeries. Are you trying to make a point? Revisionists are just the messengers, the impossibility of the "Holocaust" narrative is the message. Sorry, but you must be blind if you don't see the gap that appears between the legs of the "victim" in the second picture, for example. There are many other modifications, such as the black surrounding the "victim" in the second picture.